The mountains all around change colour from organic brown to shimmering coral and iridescent purple depending upon the angle of the sunrays. Experience the exquisite contrast of the lush flat terrain of Manokarma with the stunning slopes of Chang Ma. As the night creeps in you can see the dazzling Orion arm of the Milky Way. Experience oneness with nature as you soak in the priceless tranquility and loveliness all around. The chance of viewing all this beauty comes at a price though; the price of battling through rough terrain, coping with falling Oxygen levels and using every inch of your stamina to fight the raging cold. Temperature Day time: 10 to 11. Night: 0 to -6 C.
Best Time July to October. Day - 1 Arrive at Leh, Kushok Bakula Rimpochee Airport ( 11550ft ). Today is very crucial that we take enough rest and Acclimatize to the weather properly . Evening we have Introduction and Briefing about whole trip. Overnight stay at Guest House. 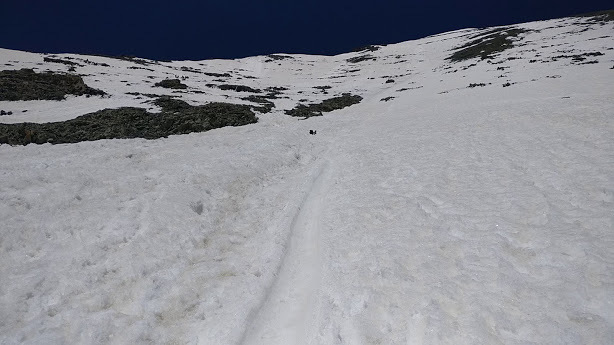 Day 2: Rest / Acclimatization / Local Exploration Day ( 11550 ft to 11880 ft ). 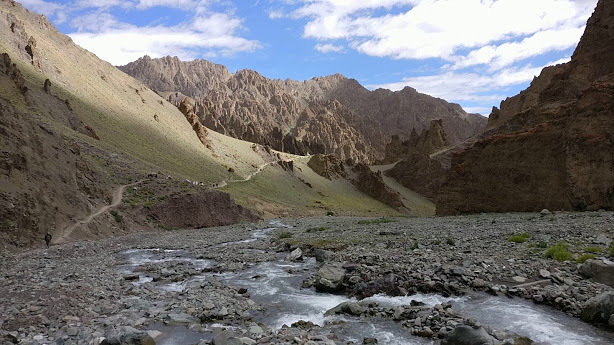 It is important to walk to higher altitudes while you stay two Day in Leh. Today we will be visiting places around leh and acclimatization further. We visit places like Shanti Stupa, Leh Palace, Chemo Monastery etc. Leh has some good shops selling trekking gears. So you can do some last moment purchase. Pack your bags as per trekking requirements. Finish your dinner and sleep early. Woke up early in the morning to catch a taxi or jeep to Zinchan which is the starting point of our trek. From Zinchan we will start our trek to Rumbak, an easy walk today. Overnight stay in Tents/ Home stay. 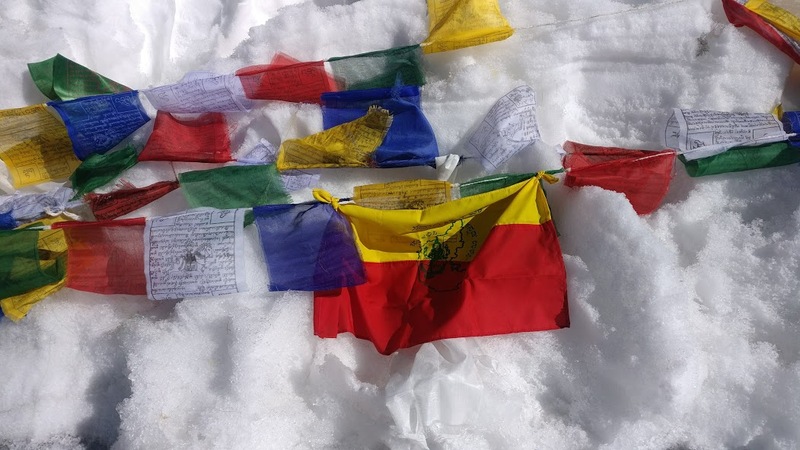 Day 4: Rumbak to Manokarma, Via Stock La (13300 ft to 14520 ft ) . This day will show you real beauty of Ladakh. We start our trek to Manokarma with stunning view of Ladakh. We start early in the morning to cross the pass. To Stok La climb is steep and demanding. Today we will be climbing till 4900m and we will sleep low at 4400m, it helps us better acclimatization to the altitude for higher once to come. Stock La offers us mesmerizing views from top. We descend down to our campsite at Manokarma. Overnight stay in tents. 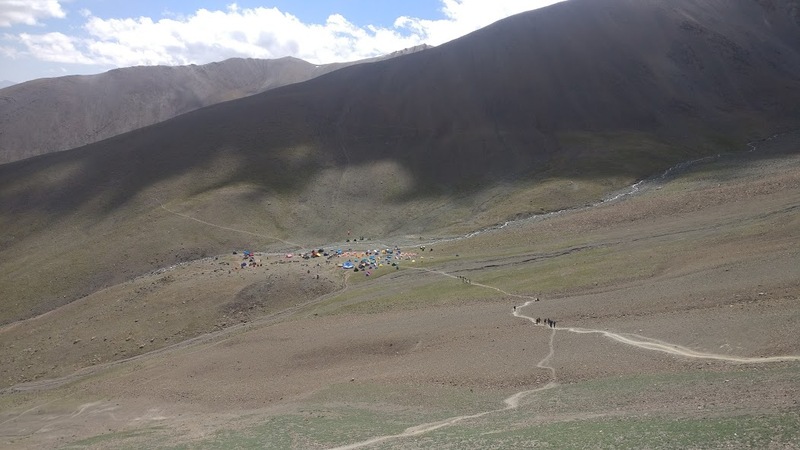 Day 5: Manokarma To Stok Kangri Base Camp (14520 ft to 16665 ft) . Today we will be walking short distance uphill path, this trail blooms with water streams, snow field which is a path with beautiful views. 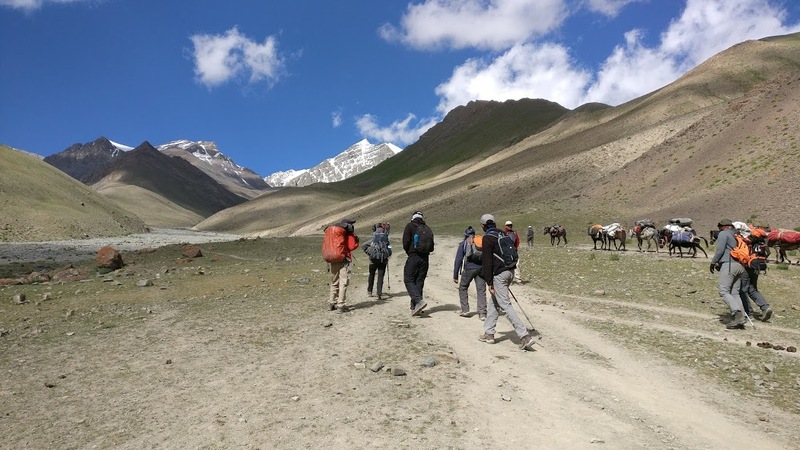 Once you reach the Stok Kangri base hot lunch will be waiting for you. This easy day is actually preparing us for the grand summit day. We chill out for the day and relax overnight in the tents. Day 6: Acclimatization (Buffer Day) & Training Day ( 16665 feet ). This day specially we are counting as a acclimatization and rest day. As per snow availability today we will be giving technical training on mountaineering equipments which we will be using on summit day. Use of Ice Ax , Rope use, Roping up , Crampons use etc .It will helps us during Summit ! We sleep early and keep everything ready for the Summit! Overnight stay in tents. 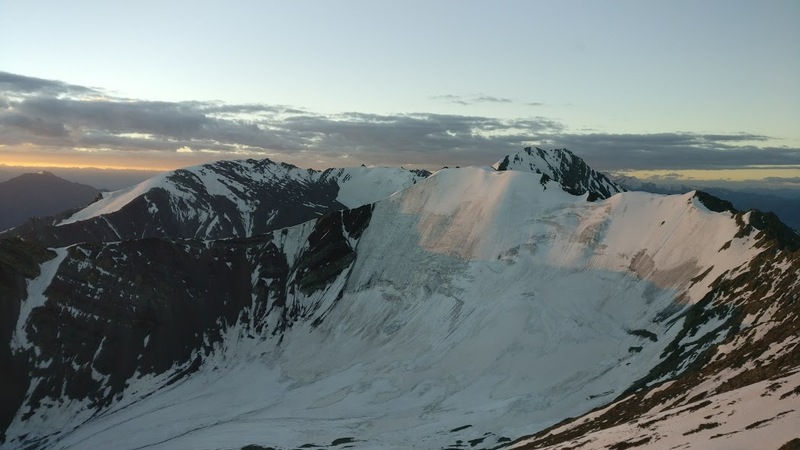 Day – 7 Stok kangri Base camp to Stok Kangri Summit and Back to Base Camp ( 16665 ft to 20300 ft ). 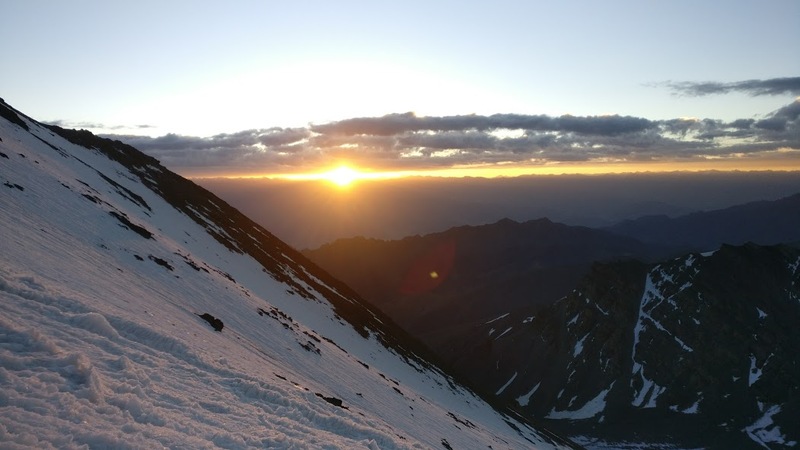 We will attempt the Stok Kangri Summit Today .We start our trek midnight around 1am to reach summit during sunrise. Stiff climb initially followed by a long mild ascent and ends with a long stiff ascent. 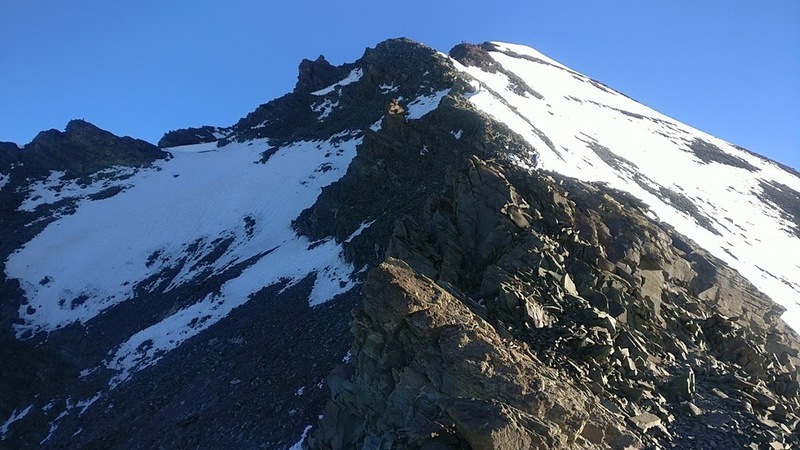 After a continues 6hrs steep ascend you will be on the top of Stok Kangri Peak ( 20100 ft ). After reaching the top you will realize that all the pain was worth taking to be where you are !!! 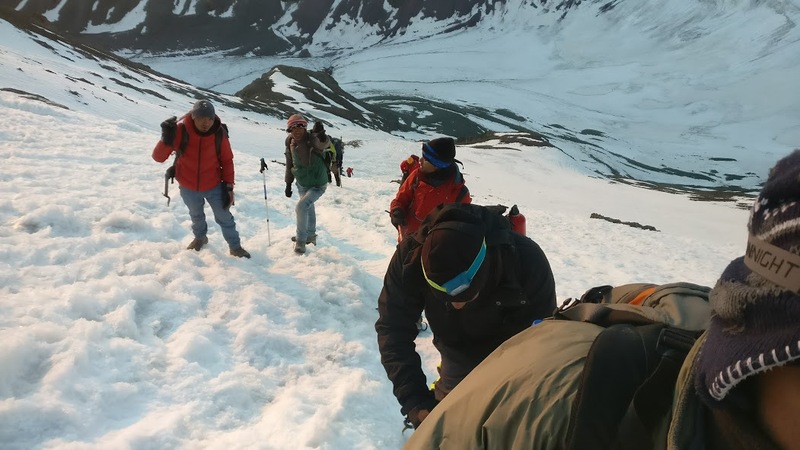 At the top you will see a 360-degree view of some of the highest peaks including Apsarasas Kangri, Chamshen Kangri, Lungsher Kangri, Saser Kangri, Mamostong Kangri etc .The descent is equally long and tiring .Come back to the base camp retire for the day . Overnight stay in tents. 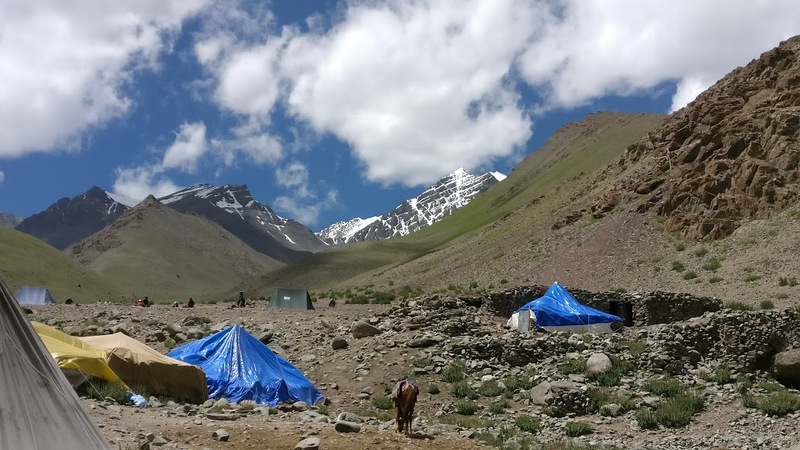 Day – 8 Stock Base Camp to Leah Via – Manokarmo, Stok Village. Note: This trek involves ascending walks in the range of 6 to 8 Hours daily. On the day of the summit it will be 12 to 14 hours of Trekking. you should be able to walk on ascending terrain with a 7-8 kgs bag in high altitude. 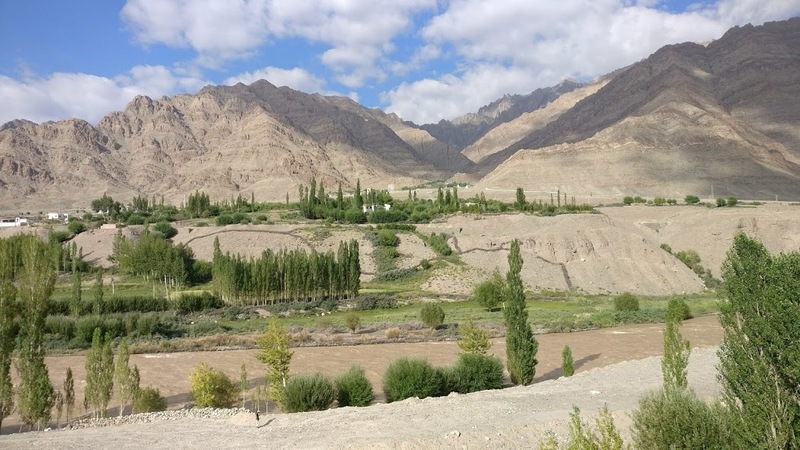 - Accommodation for 3 nights in Leh . - Insurance Individual during trek . - All climbing and safety gears . - Any air/train to reach Leh and return . - Extra food apart from mentioned above. Click this link to know the List of things to carry. By Bus: You have 2 options if you want to travel by road. Both of them is a thrilling journey. Manali to Leh being the best. 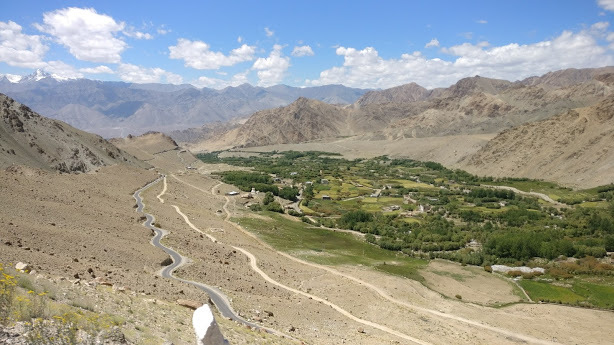 Srinagar - Leh: Srinagar to Leh is a thrilling ride too through Drass ( world's 2nd coldest inhabited place), Kargil, Zojila, Lamayuru ( moon landscape) and Magnetic hill. We get shared cabs from Srinagar. A direct bus is available from Srinagar which halts either in Kargil or Drass. Bus is the cheapest but not comfortable at all. Shared cabs cost between Rs 1800 - 2200.